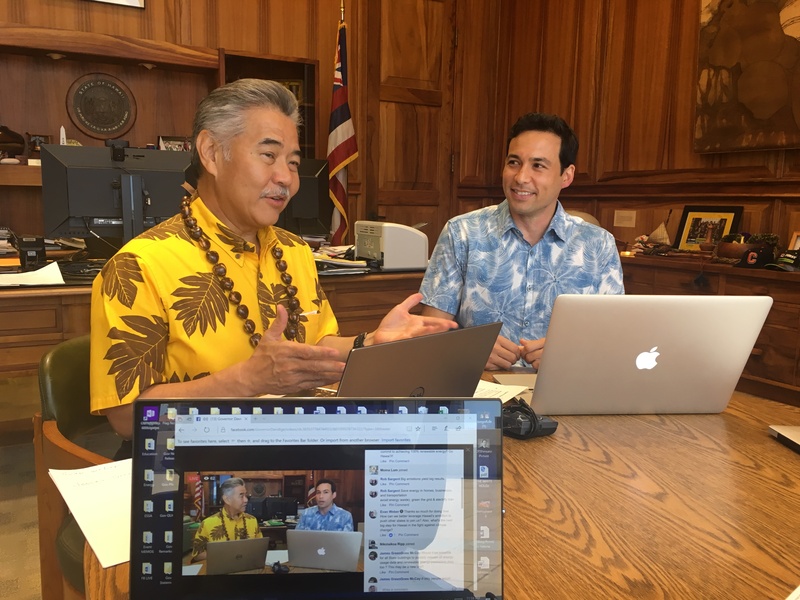 Governor Ige joined governors of other states taking action to fight climate change. Ferocious hurricanes. Raging wildfires. Rising seas and coastal flooding. As we in Hawai‘i and other parts of the world can attest, climate change is real. To highlight how states can work together to take action, Gov. 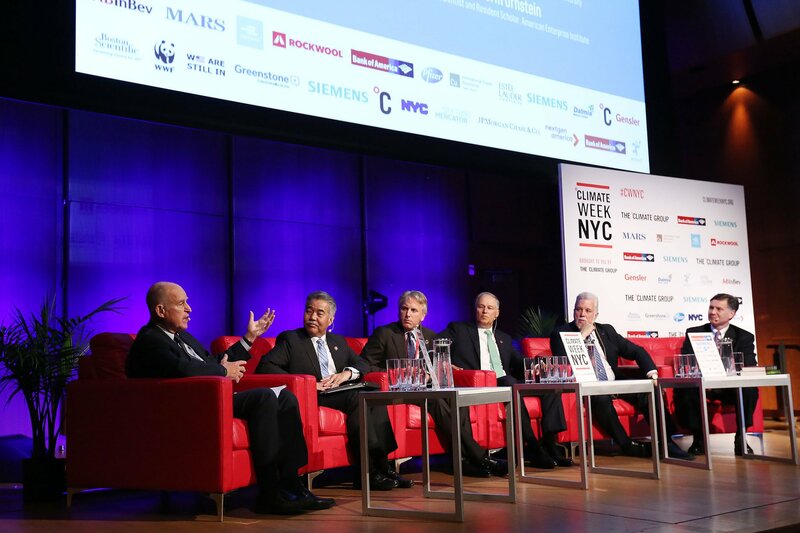 Ige joined national leaders for Climate Week in New York last month. Hawai‘i is among 14 states and Puerto Rico who are members of the U.S. 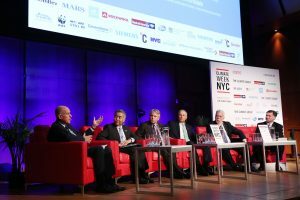 Climate Alliance, a bi-partisan coalition formed in response to President Trump’s decision to withdraw from the Paris Agreement. The alliance states are on track to reduce greenhouse gas emissions below 2005 levels over the next eight years. Between 2005 and 2015, the combined economic output of alliance states grew by 14% (the rest of the country grew by 12%). These states are proof that fostering economic growth through clean energy policies and “green” jobs makes sense. Locally, the state’s Climate Commission is developing a Sea Level Rise Vulnerability and Adaptation Report for the islands due by the end of this year. As the nation’s only island state, Hawai‘i is highly vulnerable to flooding from storms and tsunami. In a Sept. 22 Facebook Live segment, the governor and Rep. Chris Lee, a member of the state’s Climate Commission, talked about how Hawai’i can take action now to protect itself from sea level rise and other effects of global warming. Watch the Facebook Live discussion.